If you were not part of the fun, here are the top 10 things you missed! 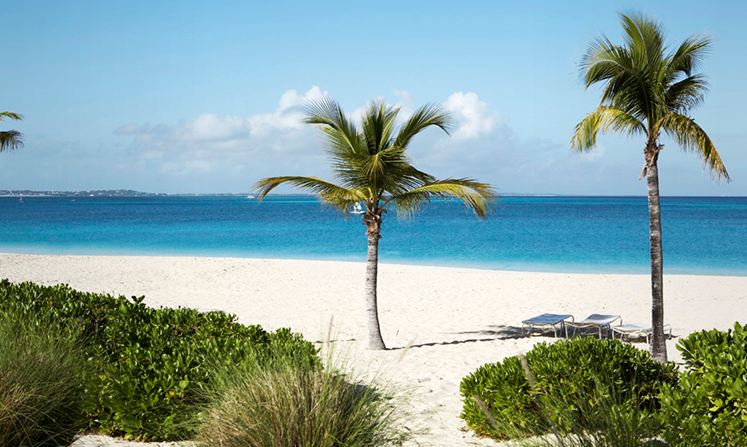 Providenciales, Turks and Caicos was recently chosen as one of the world’s top islands and considered to have one of the greatest beaches in the world according to Trip Advisor’s 2015 Travelers’ Choice Awards. The deep pearly white sand was perfect for vacationers looking to dive around and get their cardio in at the same time. The beautiful crystal clear, turquoise waters were picturesque and provided a refreshing escape from the Caribbean heat. Needless to say, everyone left with bronze tans and chiseled abs. 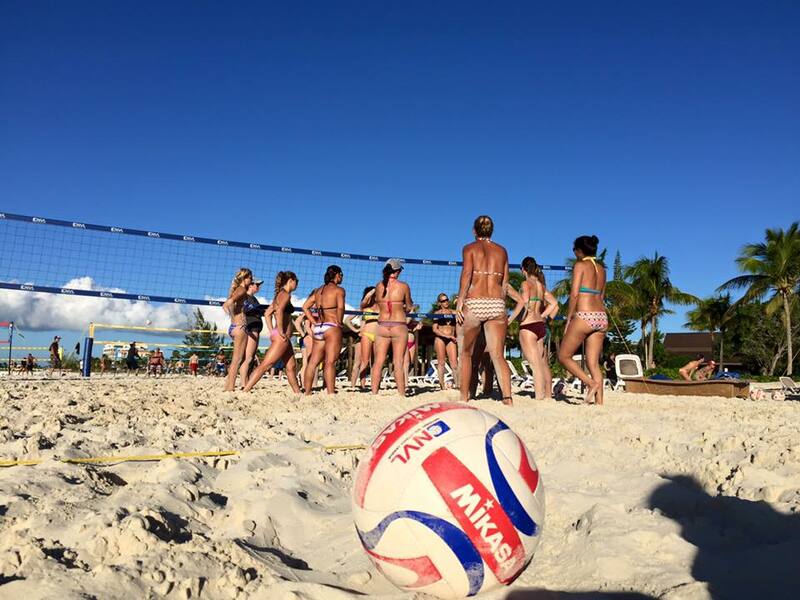 The super-pros faced off in a 4 on 4 beach volleyball exhibition match. Team Kerins/Snyder/Marciniak/Sowala took down Team Hannemann/del Sol/Hayes/LoCascio in a highly contested match! The refs were TERRIBLE and consequently voted off the island – the match is under review and there will be a rematch next year. Andy LoCascio MC’d the exhibition, as vacationers cheered for their favorite team. A glow-in-the-dark beach party ensued. Details are confidential. 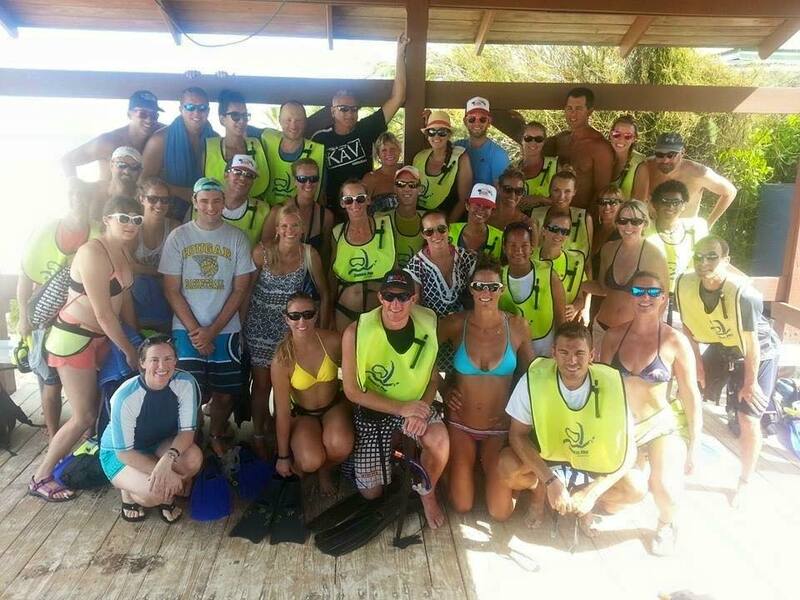 On their “excursion day”, the vacationers and pros ventured into the depths of the coral reef via the Club Med snorkel boat. Some vacationers say they saw a reef shark, while others snapped pictures of a sea turtle who was hiding in the reef. There is also a famous dolphin named Jojo who will sometimes greet lucky scuba divers and snorkelers. We’ll just have to try again next year! 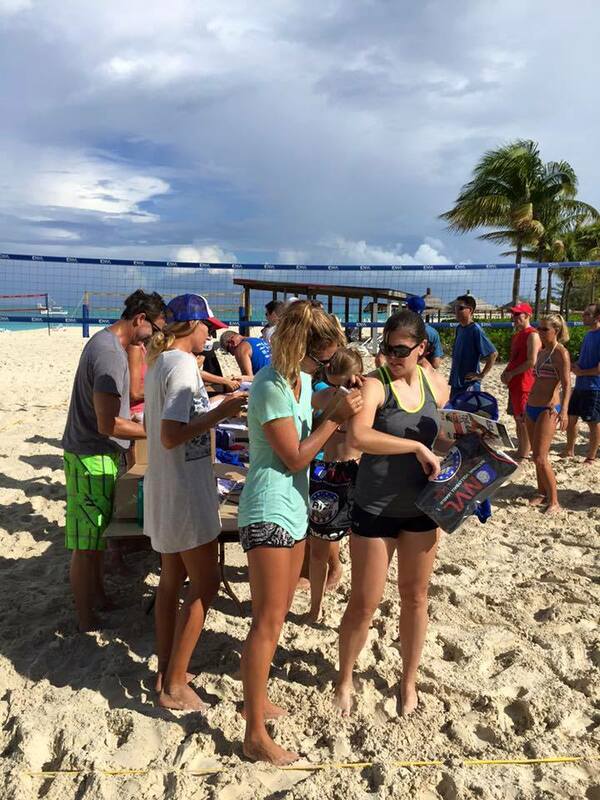 On the 1st day, each vacationer received an NVL t-shirt or tank top, MIKASA drawstring bag, official Turks & Caicos Volleyball Vacations hat and a copy of VB Soul. Also, some NVL Merchandise was available! Interested in looking like a pro yourself? Visit the official NVL Store and get your hands on some sweet gear! 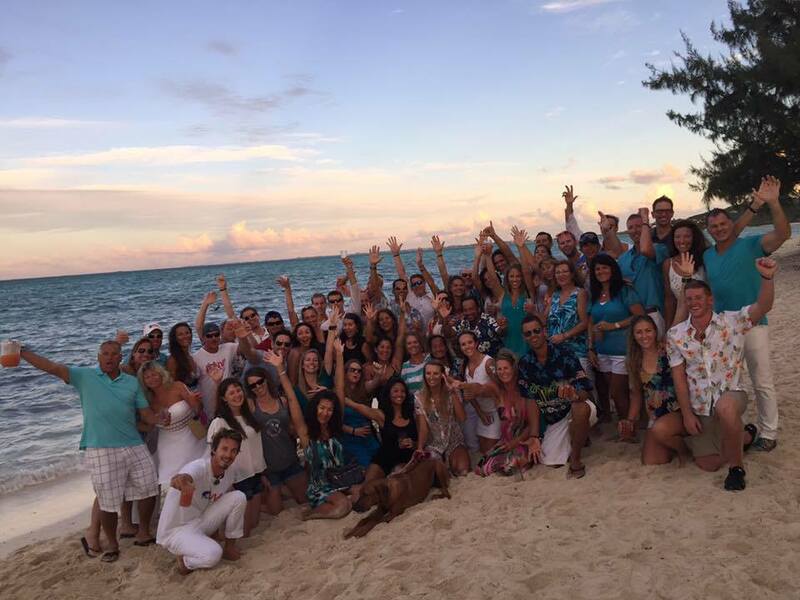 Vacationers received a VIP experience to one of Turks and Caicos’ amazing restaurants, da Conch Shack. With Rum Punch in hand, vacationers were able to see a live conch and (with some liquid courage) many ate what is known as the island Viagra, a.k.a the Conch Pistol. The night ended with the infamous rookie dance and the singing of Sweet Caroline, led by Beach Volleyball Pro (and Professional Singer) Mark Kerins. Each day the Pros reviewed a different skill. The vacationers were broken up by gender and skill level on different courts where they ran through drills with the pros in small, intimate groups. This was followed by King/Queen of the court with the Pros until it was too dark to even see the ball. Some of us would pull ourselves away from the courts to enjoy happy hour at Sharkies (the beach bar & grill), listen to live music and watch the incredible sunset. There might have been a Miami Vice or 2 to top off the afternoon. It’s a Bird! It’s a Plane! Nope, its just us showing off our inner Super Heroes! 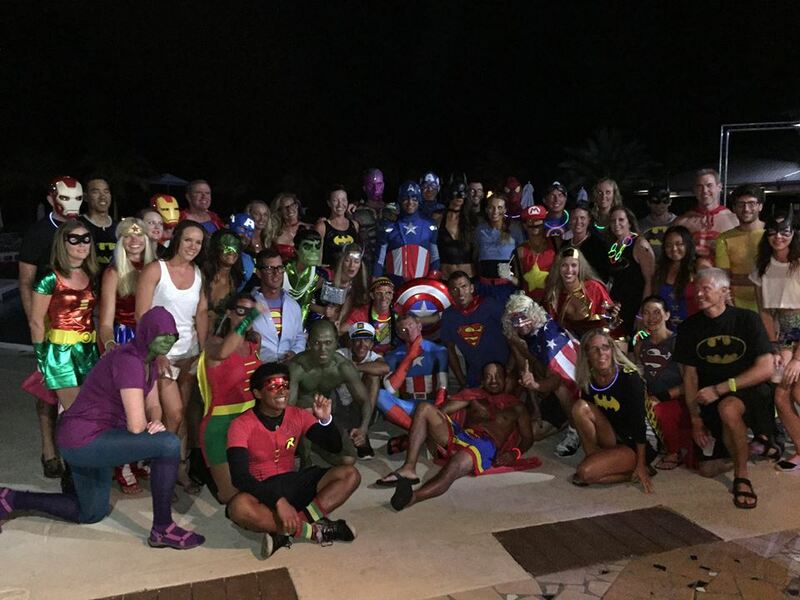 The theme parties are always epic and we somehow managed to raise the bar this year. From 70’s/disco night to elegant/masquerade night our group was on point. We will have to get even more creative next year if we’re going to top this event! Over the course of the vacation, 3 tournaments were hosted. On the last day of the vacation, the champs were given the opportunity to pick a Pro as their partner vs another champ & Pro. There were some epic battles and plenty of heckling from the peanut gallery. Congrats to all our champs! ♦ Legends AL-B Hannemann and Mark Kerins who provided a combined 80+ years of volleyball experience and one-of-a-kind instruction to our vacationers. AL-B taught everyone how to keep a postive attitude on the court while Mark demonstrated proper bobble-head technique. 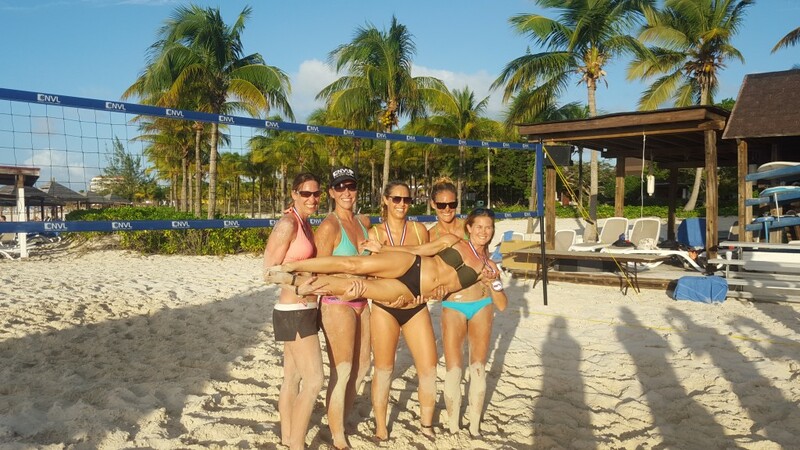 ♦ VBV veterans & NVL’s Australian Gold girls: Jennifer Snyder (NVL Best Female Blocker 2015) and Chelsea Hayes led the charge on blocking and defense (and shared how to sculpt the perfect booty). ♦ Celebrity volleyball couple “Tandy”: Tarin LoCascio (NVL Soul Award 2015) and NVL Announcer, Andy LoCascio shared their insight into the game with Andy’s constant analysis and Tarin correcting him frequently. ♦ NVL Club Med Academy coaches, Kaya Sowala (NVL Female MVP 2015) and Piotr Marciniak (NVL Best Male Offensive Player 2015) returned for their 2nd consecutive year. They were the authority on hitting, hitting and more hitting. They were not allowed to speak unless AL-B was there to translate. ♦ Last and certainly not least, VBV Rookie Skylar del Sol (NVL Best Male Setter 2015). From 7am to… 7am the next day, Skylar was our rookie MVP keeping up with both the day pros and night pros. I would guess he’s still sleeping off the week. 1. The Campers & Vacationers! Of course, our vacationers were the most EPIC part of this trip, as new friendships and memories were created. You are the reason the pros come back year after year. 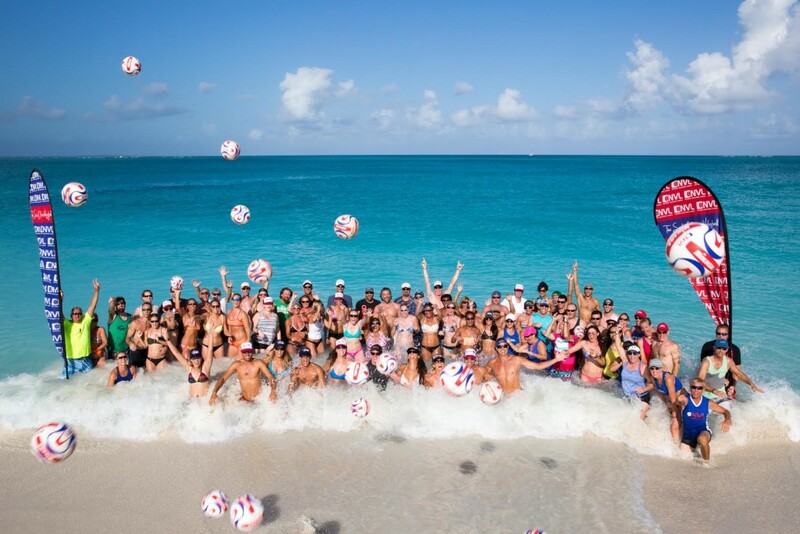 Our Volleyball Vacation family is incredible and we can’t wait to see you again soon. So good, so good, so good!!! 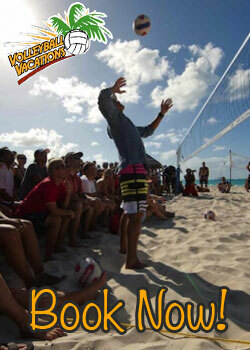 Think you are interested in attending a Volleyball Vacation? The next Vacation will be Port St. Lucie, Florida at the all-inclusive Club Med Sandpiper Resort February 5-12. Capacity is limited to 100 vacationers, so make sure to reserve your spot now by booking here! Also, make sure to follow us on Facebook at the official Volleyball Vacation page and join the official Volleyball Vacations Facebook Group to meet some of our vacationers!